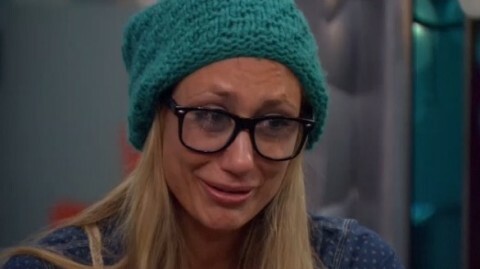 Big Brother has always been an emotional rollercoaster. If there's one thing you can count on, from season to season, it is that there will always be an ugly crier. This list is only meant to be comical, I do not mean to offend anyone. Oh Vanessa, could there even be an ugly crying article without mentioning the famous Vanessa? She would get so paranoid, and cry every time she had a conversation with someone. In my opinion, she is one of the greatest Big Brother players of all time, but man, that girl can turn on the waterworks in an instant. Well, now that we’ve mentioned Vanessa, it’s impossible not to mention her sister, Tiffany. Vanessa and Tiffany have a lot in common, from something as simple as their looks, to their crazy amounts of paranoia. Tiff may have only been on Big Brother for a couple of weeks, but in that short amount of time, she sure showed her emotional side. Sweet, showmance-obsessed Nicole... she can laugh and joke around with the best of them, but that girl can also cry it out. 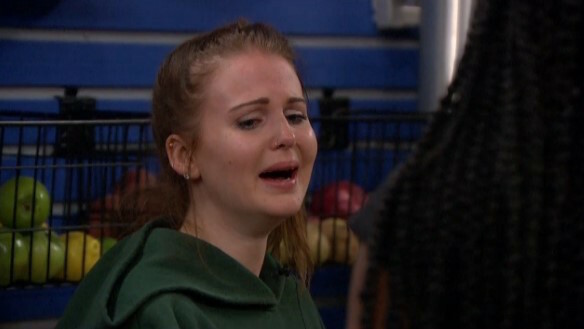 Whether her showmance of the season upsets her, or she just doesn't want to be around these people anymore, sweet Nicole can let those tears flow. Gina Marie was on one of the most controversial Big Brother seasons of all time. She was loud, and emotional, and a little too obsessed with Nick. In my opinion, her comments and crying were both out of control during her season. Britney Haynes was so sarcastic and awesome during her first season, which is why she has so many fans. Her diary room sessions made it impossible not to love her. But Geez Louise, she is quite the crier. Although, I'm not really judging her, because if I found out that I was the final victim of the Brigade... I would cry too. “Floaters you better grab a life vest!” Rachel, Rachel, Rachel, clearly one of the greatest players, but also one of the greatest criers! This girl can be as mean as can be, and super sarcastic, but then can start crying at the drop of a dime. Whatever you do, don't get in the way of Rachel, and her man! Whoa, Whoa, Whoa, this girl spent every single one of her Diary Room Sessions crying. I honestly feel really bad to even include her on this list, because she is just going to cry about it. Her crying face may actually beat the Kim Kardashian ugly crying face. After every comp, every nomination, Amber just couldn't pull it together. Crazy Zach, and his speeches. Zach is known for many things, from wearing Victoria's pink hat everyday, to his bromance with Frankie, to calling Nicole a fruit loop dingus after he nominated her... but I remember him most for his crying outburst in the diary room! The Calafiore brother was playing a perfectly good game in the beginning. Playing all sides, getting people to do his dirty work, his "PP" bromance/friendship seemed to be running the house...then everything fell apart. He got too cocky, made rude comments, and became a crier. Paulie dethroned Big Meech as the biggest baby in the house. Super fan Michelle has been one of the most emotional players ever. Who cries after not using the veto when they’re not even on the block?! Oh that’s right… Big Meech does. So those ten people landed a spot on my top 10 ugly crying moments! 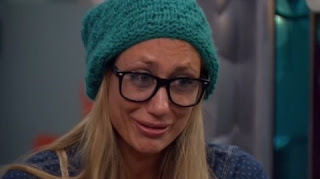 Leave me a comment down below of some of your favorite crying moments on Big Brother!